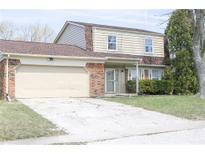 Below you can view all the homes for sale in the Arlington Acres subdivision located in Indianapolis Indiana. 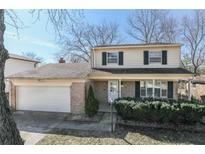 Listings in Arlington Acres are updated daily from data we receive from the Indianapolis multiple listing service. To learn more about any of these homes or to receive custom notifications when a new property is listed for sale in Arlington Acres, give us a call at 317-900-4544. (Blinds only stay where installed) Must see! 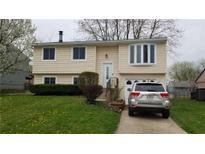 MLS#21633396. RE/MAX Realty Group. NO HOA!!!!! Enjoy the desirable neighborhood! ! MLS#21630815. F.C. Tucker Company. Nice home formerly a 3 bedroom converted to a 2 bedroom, real easy to put a wall back to make it a 3 bedroom home again. MLS#21622961. Landtree, REALTORS®. Many of the homes have new roofs, furnaces, ceramic tile in kitchens and bathrooms and other capital improvements. MLS#21612976. Apex Realty. Brand new stainless steel fridge, fenced in backyard, overhead ceiling fans throughout, and utility shed for extra storage. Plus, no HOA! MLS#21613172. Keller Williams Indy Metro NE. All appliances can be included, Range, Dishwasher, Washer & Dryer, not all work properly. 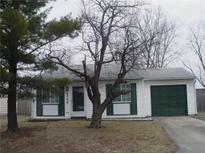 MLS#21599523. New Day Realty.